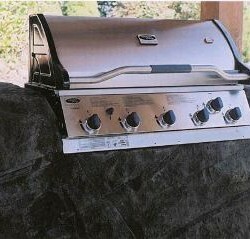 On Twitter, Swimming Pool Steve shared this 140 characters or less gem with the team at Hot Tub Covers Canada. Say what?! If you know the team at HTCC, you know how much we love finding unique ways to upcycle old hot tub covers. In fact, we think the whole concept of using artificial rock to create innovative backyard features, well, rocks. From small to large planters, outdoor furniture, even a BBQ stand. Clearly, the possibilities are endless. 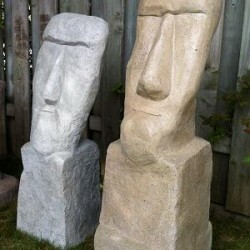 If you are looking to purchase one of Steve’s creations, the smaller planters can be found at FacePlants.ca. Larger pieces can be purchased from his shop in Paris, Ontario. And yes, if you live in the Greater Toronto Area, Hamilton to London, Steve wants to upcycle your old hot tub cover. Contact him via FacePlants.ca for more information. WOW thanks for the exposure! When I am not standing in the bottom of a broken swimming pool I love to make these artificial rock creations. Using old hot tub cover foam has always been my secret – the foam is the most expensive part so if I can save money on my product supplies and keep a huge, ugly, slab of foam out of the dump it seems like a win for everyone! Thanks again! We love your work and amazing ideas on how to use old cover materials!